HIGH PERFORMANCE IN SCRUM AND IN THE KITCHEN! Any organization is composed of people working together, complementing each other’s strengths. That holds true in a team, in a project group, and… in a restaurant kitchen. An excellent team stands out from the rest, performs better than other teams. These high-performing teams demonstrate passionate team spirit, self-management, target-driven and task-oriented collaboration, and leadership geared towards intensifying that strong sense of teamwork – and all that focused on customers and all the stakeholders. The results of such high performance are unmistakable; the famous De Librije restaurant is a fantastic example. Scrum, the agile approach to project management that has been such a success in developing products and services within teams, is all about High Performance too. 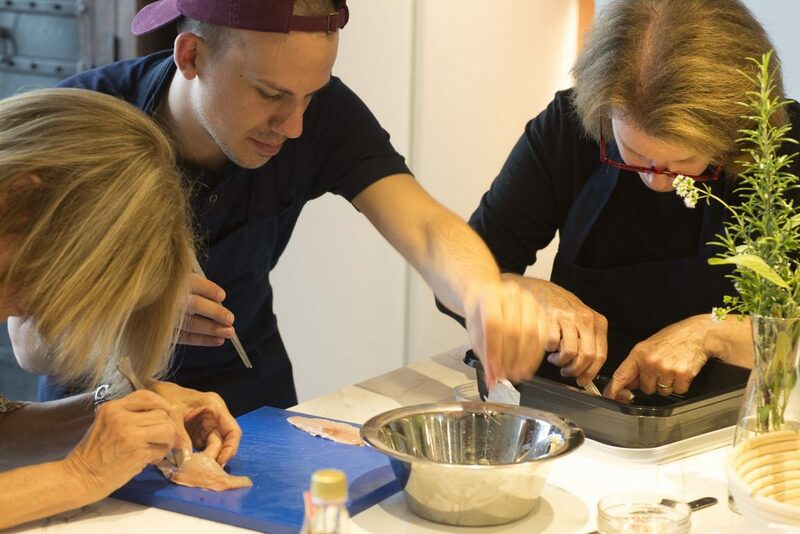 And that’s where ScrumCooking™ comes in: working together as a team to master the Scrum approach, and then put it into practice on your plates during a cooking workshop for high-performing professionals. ScrumCooking™: team-building exercise and company outing, in just one day! In the morning, your team will learn all about the Scrum approach: its features and factors, the roles involved, how you apply it in your own project(s), and why teamwork is so important. The theory is supplemented by lots of hands-on practice and interaction – guided by the inspiring leadership of Scrum Master Bas Douma. In the afternoon, the team’s inspiration comes from chef Leo Keijzer. 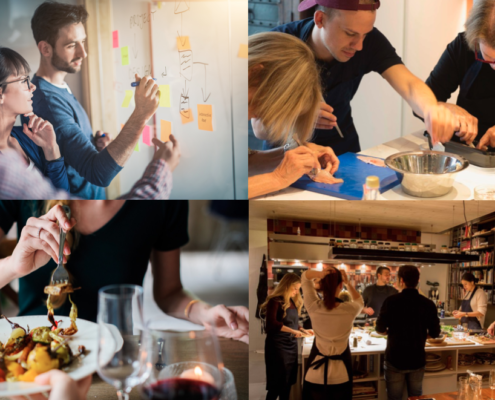 Using a Scrum-based approach, he brings out all the best qualities in your team: collaborative, personal, professional and culinary. 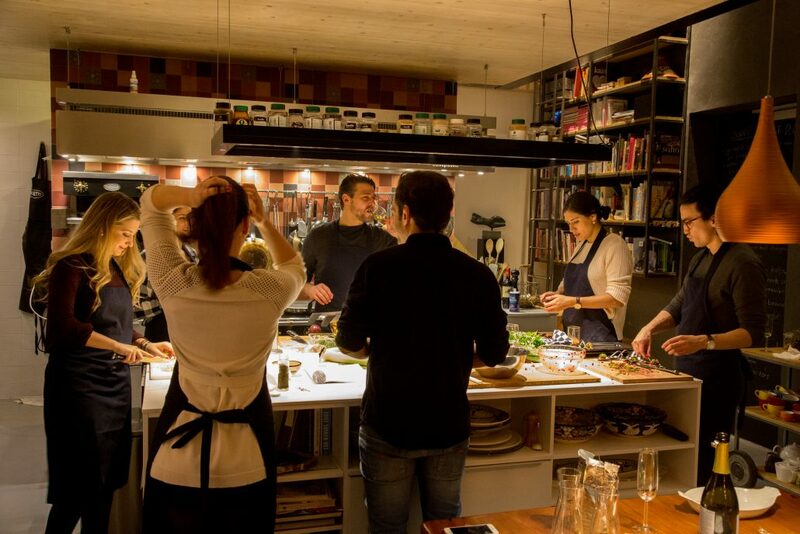 In an informal setting, but under a certain amount of pressure, you and your self-directing team will produce an exceptional three-course menu – just as if you were in a real restaurant kitchen, preparing a complete menu for that evening’s guests. Min. 6, max. 12 participants. This combined workshop will take place on a single day. Date to be determined in consultation with the commissioning client. It is possible to join an open Scrum training. We reserved a few dates, please check this on the website of BasCommunicatie. 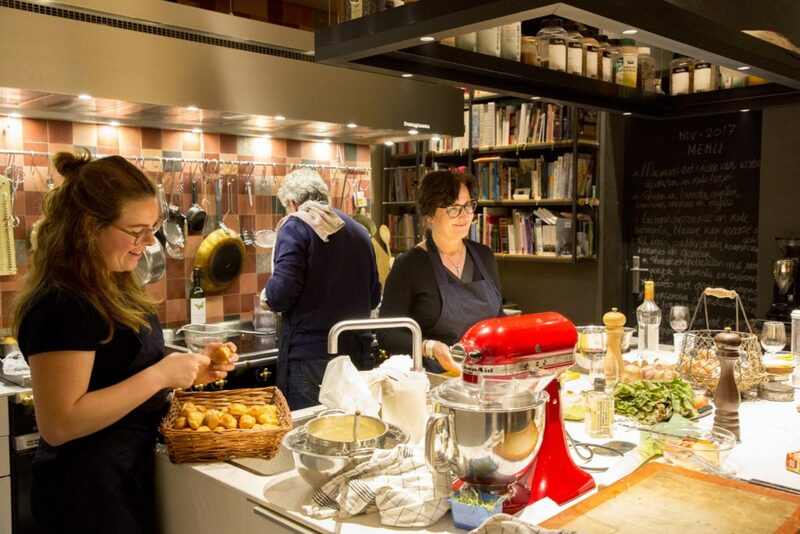 ScrumCooking™ takes place in the Cook Your Life cooking studio at Houthavenkade 43 in Amsterdam. The morning session for the Scrum workshop is hosted in Karavanserai, a welcome haven for leaders and professionals, at Haparandaweg 67 (100 meters from the cooking studio). Both locations are centrally located in the recently refurbished Houthaven neighborhood, along the IJ River at the edge of the city center. Just ten minutes from Amsterdam Central Station (GVB city bus 48, Haparandaweg stop) or Amsterdam Sloterdijk Station (GVB city bus 22, Oostzaanstraat stop) and near access roads in all directions (A10 ring road is just 2 minutes via S102). Depending on the number of participants. Feel free to request a quote using the contact form, without any obligation to reserve a slot. 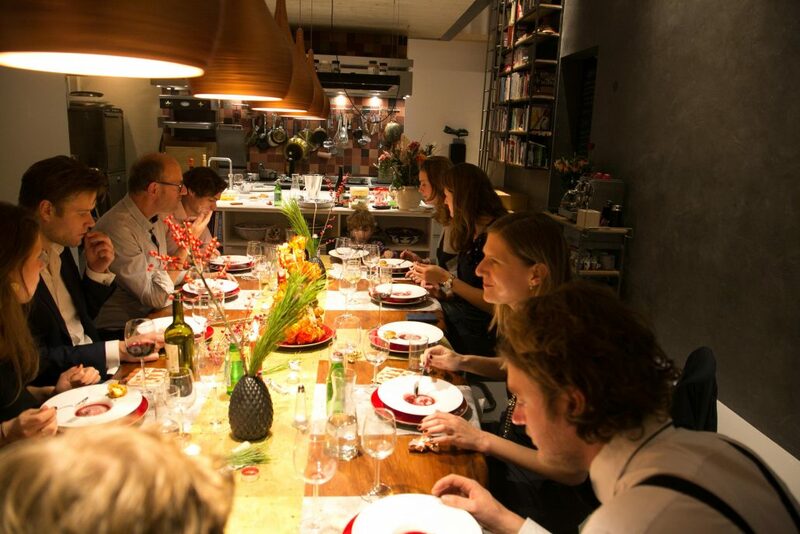 ScrumCooking™ is a joint initiative of Bascommunicatie and CookYourLife. 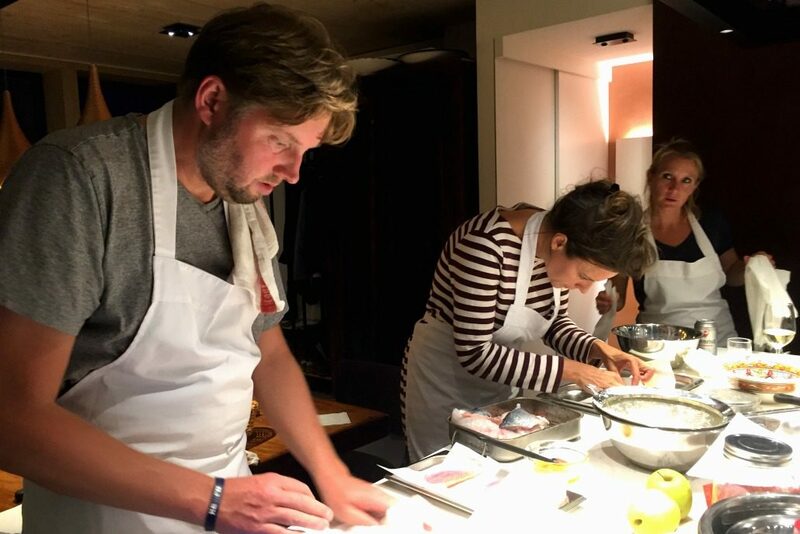 That means Bas Douma and Leo Keijzer: two highly experienced managers who help teams develop their talents, combining the successful Scrum approach with excellent cooking workshops. Together, they organize the double-session ScrumCooking™ workshop.